I like these Post offices the best. 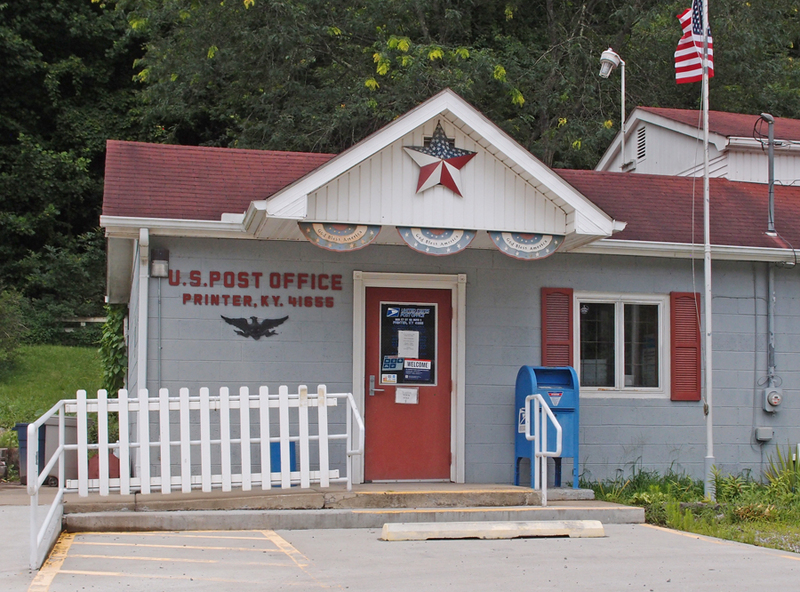 I appreciate the modern Post Offices, but these older ones seem to have more style about them. The concrete post by the mail box has “1942” incised in it. I thought at first it was a date marker…but, for what? 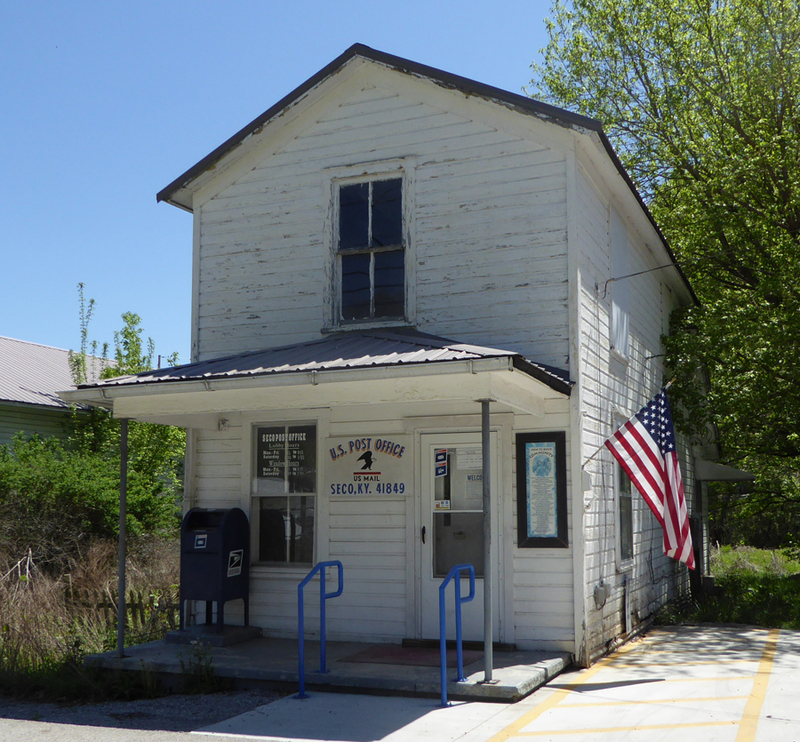 The first Post office here was established in 1880. 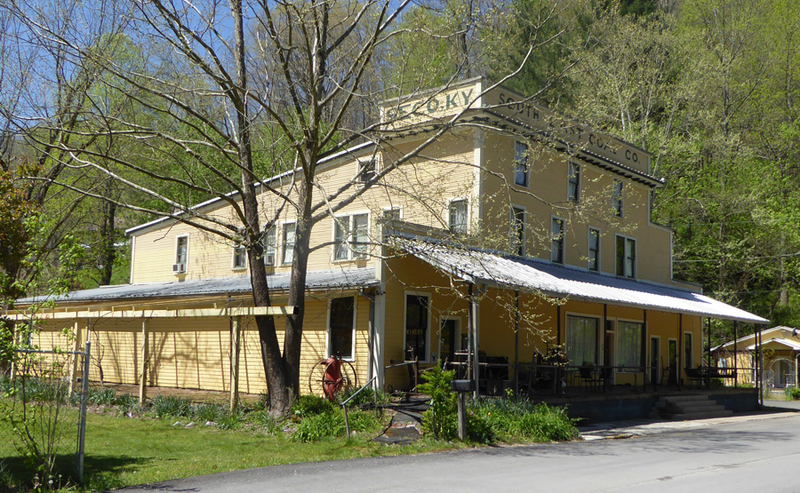 Lackey also had a C&O train station at one time. This is in Floyd County. 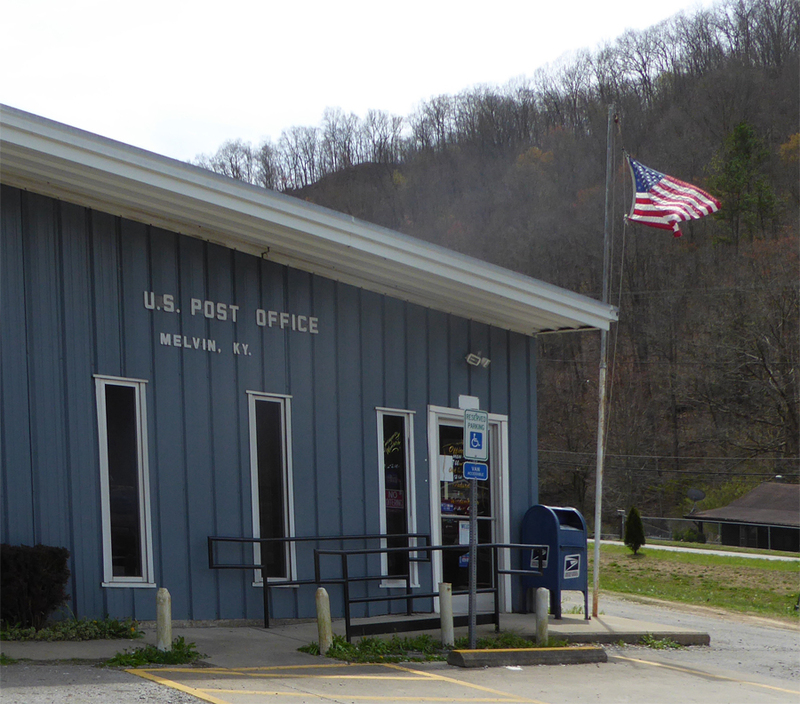 The Post Office at Melvin KY, on KY Route 122. 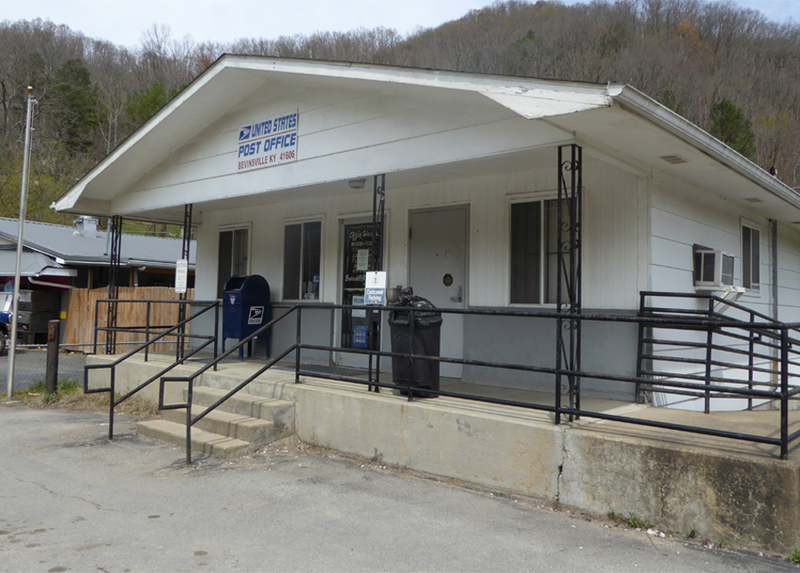 And this is Bevinsville KY Post Office. Normally, I rely on two sources for information on the places I post – a book on Kentucky place names and, of course, Google. This time, I couldn’t find diddly on either of these locations. Annoying. 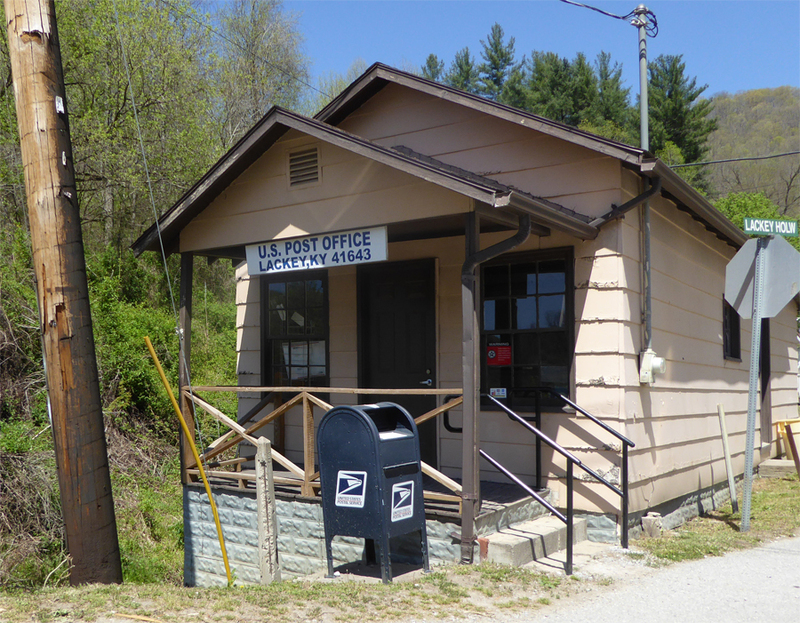 This is the Post Office for Printer KY, in Floyd County. It was all decked out for Independence Day a year ago. The first Post Office came here in 1909. The unincorporated community was named for a local resident, John Printer. 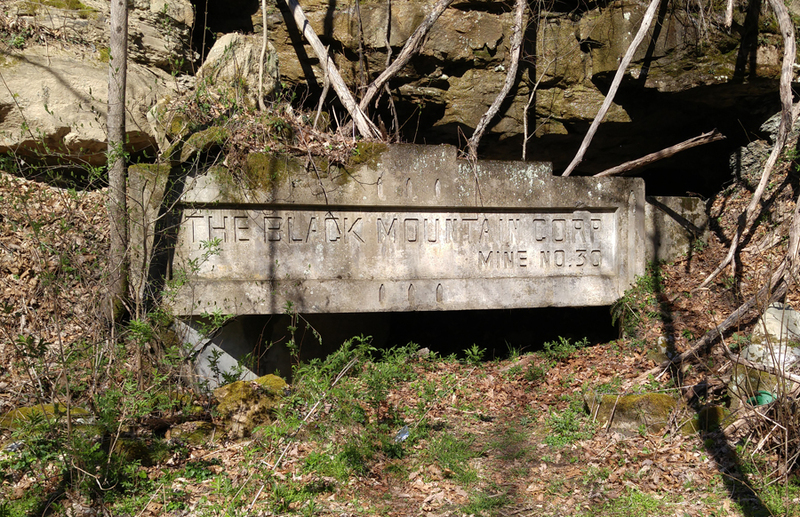 This is a first-class remnant of the coal industry: a concrete collar for mine #30 of The Black Mountain Corporation. It’s a couple hundred feet above Kenvir (KENtucky – VIRginia) KY. The corporation was owned by Samuel Insull’s Peabody Coal. It operated as Black Mountain from 1922 – 1952 and as Peabody from 1953 – 1958. It appears that the collar has collapsed down onto the bermed shaft. This requires an ATV or 4-wheel drive vehicle to get to, due to road erosion. If you’re sharp-eyed, you can still see remnants of the conveyor that carried the coal down to Kenvir. There were a number of mines in this immediate area, but, as far as I know, this is the only on with a finished opening.